Denny Jump (Bellevue, WA, United States) on 12 February 2016 in People & Portrait. 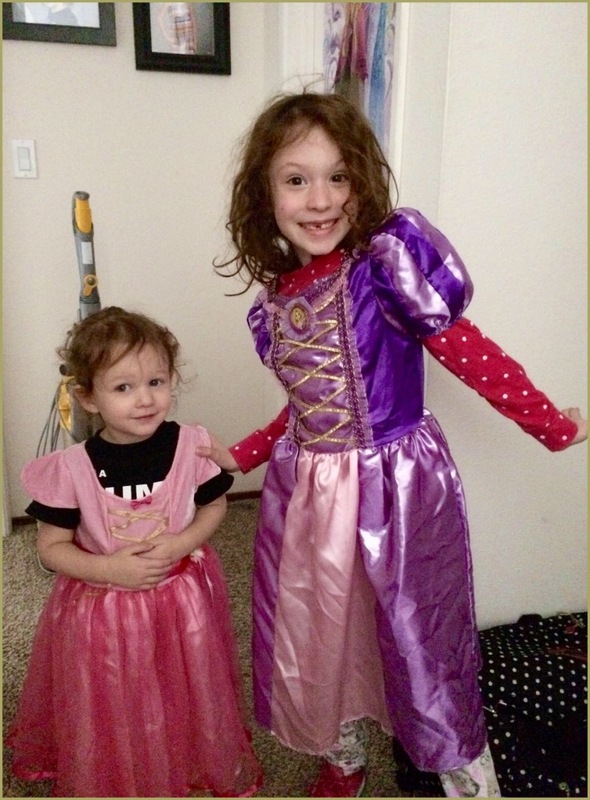 It's our turn to brag here - These two beautiful Princesses are our two grand daughters, Aurora and Cecelia. Now 5 years old, Aurora Jean is the older of the two. Many of you who have been on AM3 for a while can probably still remember when she first was born in San Francisco......Cecelia Elyse celebrated her second birthday yesterday. Aurora is dramatic and loves to perform. Cecelia seems to prefer doing the daring things like climbing a ladder or jumping from a high place. She's always so curious. These two girls are just beautiful! We are so proud of them AND their mom and dad, David and Lyndsy. They are fantastic parents. We couldn't be more proud!! Ah, a reminder of the real values in Life . .
Aww. This is so sweet Lyndsy. Grandchildren are the miracle and reward in life that one did not labour for. Enjoy. They look so sweet. Elles sont belles tes princesses! Oh how the time flies! They both are beautiful young ladies. Such sweet girls. Great outfits. Adorable! I cannot believe how grown up they are!